Since1987, every two years, chefs from all over the world meet in a friendly culinary fight at the end of which three of them reach the podium. The Bocuse d’Or prize-winner’s Academy was started in 2000 backed by ROUGIE which wanted to help strengthen the links between all the winners. Today we are 39 chefs from 11 different countries. 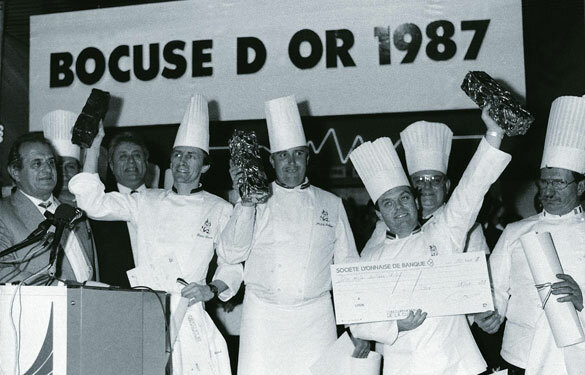 Today, it is simply called : the Bocuse d'Or Winners.